The image analysis software Mov3D offers you the possibility to analyze 3D motion of dynamic recordings. For this you track objects in several different stereoscopic views with the module MovXact. Subsequently the 3D curves are calculated based on photogrammetric methods. Calibration of camera and lens with powerful distortion correction. At least two views from different points are included in the analysis session. (Same) control points and marker targets with the same name are setup and measured in the single views. integer parts of the maximum occurring frequency = max. frequency / n.
T0(n) - T0-min. = 1 / max. frequency. 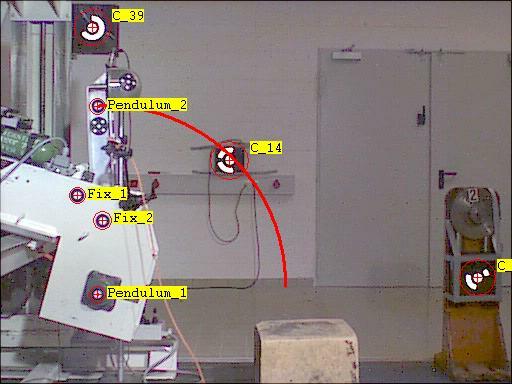 The camera positions are calculated within the overlapping time interval; for this measurement data of at least 4 control points per image are necessary. Alternatively the positions may be defined as „static“. 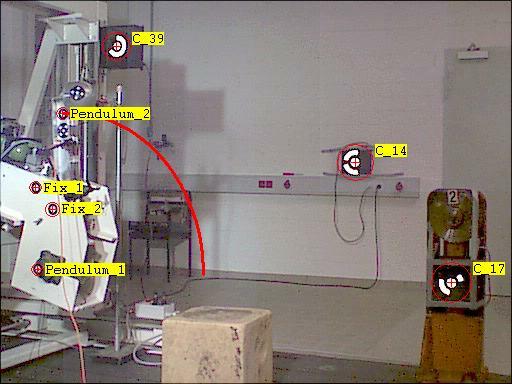 A triangulation on the basis of the measured image coordinates must be possible. Own scales or rulers are not necessary for calibration. The scaling is implicitly included in the control point information.